Researching the history of your house, building, or property can be a fun and engaging project. You might uncover stories, bits of information, maps, and historic photos that will enrich the experience of living in your house. 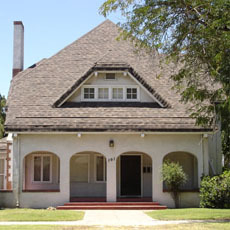 Start your project by reading and completing the tasks in the Modesto Art Museum publication, Researching Your Modesto Property. County GIS site or the Modesto GIS site.